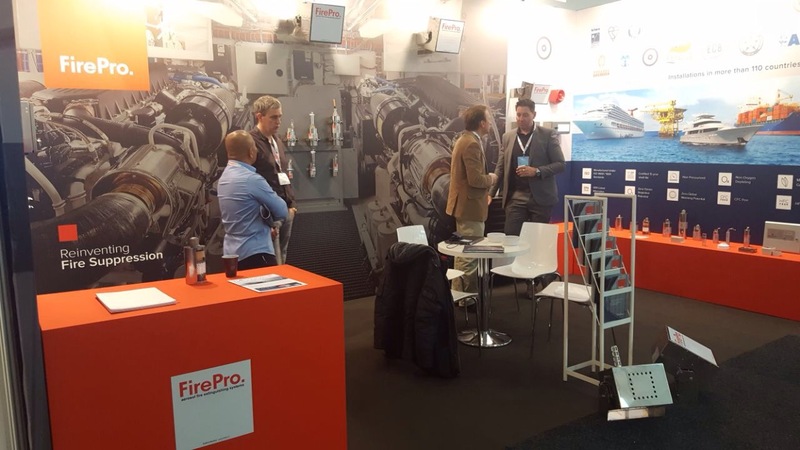 FirePro participated in Europort 2017, the international maritime exhibition held in Rotterdam Ahoy Convention Center in the Netherlands, from 7th to 11th November. Europort is held every two years in the port city of Rotterdam and it has come to serve as an event where the international maritime community meets to be updated on innovative technologies applicable in shipbuilding. It draws almost 30,000 professionals who visit the 1,100 exhibiting companies. It aids ship owners and operators to network with industry professionals and creates a forum enabling them to conduct business. 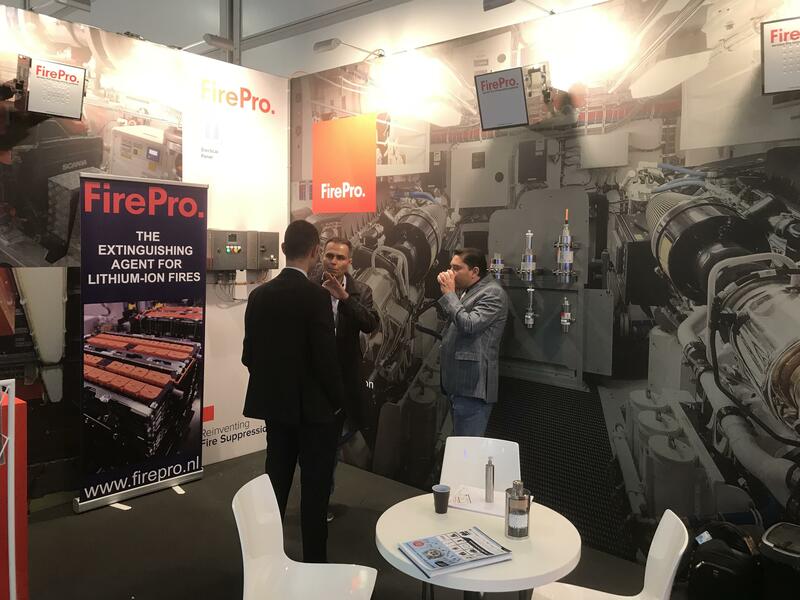 FirePro, in co-operation with its Dutch partner FirePro Benelux, were there to exhibit the FirePro technology and the large array of the related fire protection systems. 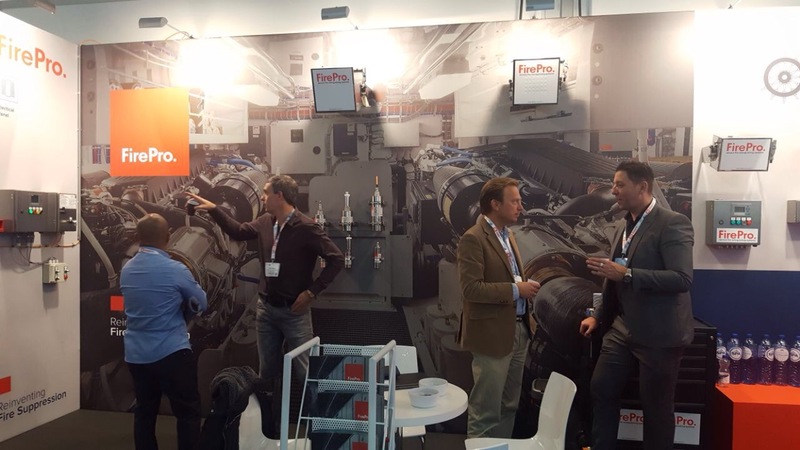 FirePro Business Development Manager, Demetris Constantinou, was also on hand to offer insights on the relevance and applicability of the FirePro technology to maritime safety, both for on land as well as for offshore applications. 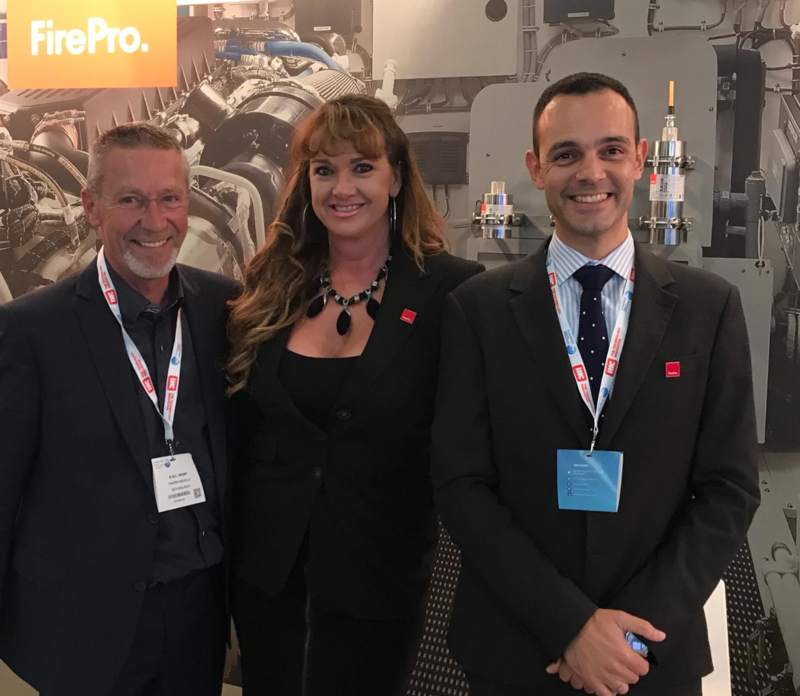 FirePro extends its gratitude to the Managing Director of FirePro Benelux, Mr. Robert Reijns, for his collaboration throughout the event, as well as for his overall efforts and commitment to the FirePro brand.